Pre-order. This title will ship upon release. 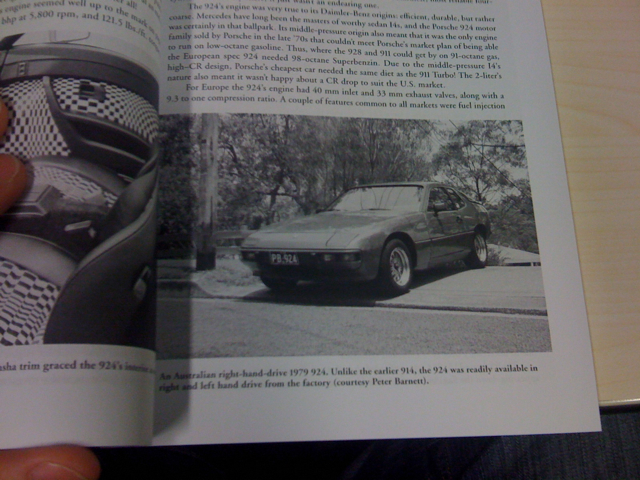 You can earn a 10% commission by selling Porsche 928, 924, 944 and 968: The Front-Engined Sports Cars paperback book on your website. It's easy to get started - we will give you example code. After you're set-up, your website can earn you money while you work, play or even sleep! I sent him a copy of the photo of my car that's in the Registry. Don't know if he used it. He did! I bought the book yesterday from Dymocks. Was $70! Which Dymocks ... do you have a reference number on it from them ? ISBN: 9780786430406 - that's all there is. It was the main store in George St - bit of a hike from you though! Hmm, just found it for $25. Yeah, but that's the cheap $25 version! I got the premium $70 version...!! I've never gotten round to picking up a copy of the book in the UK, bit steep on the price - has anyone got a photo of the page(s) with my old girl pictured? 1978 euro early (name might be on them - Lee F) Reg is RBR 21T. She's sat, part stripped down and looking very old and sad, in a garage at the moment, I've not the time or money to restore her at the moment, but I'm loathed to part with her after all these years.